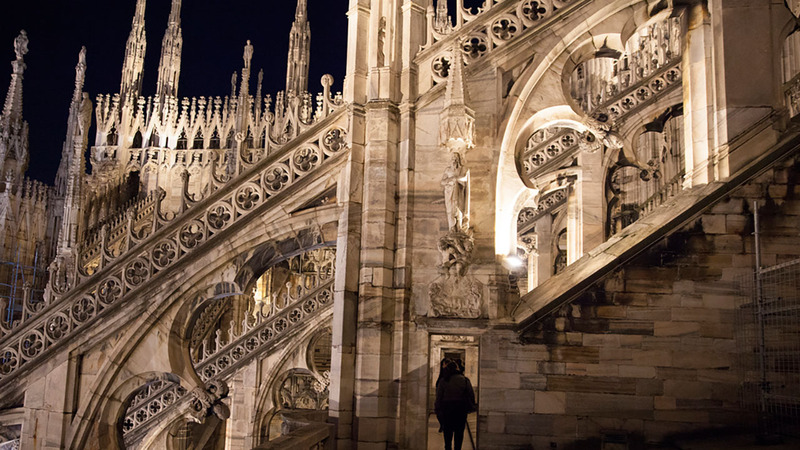 Explore Milan Duomo from top to bottom, crypt to rooftop. This really is Milan's most impressive structure. 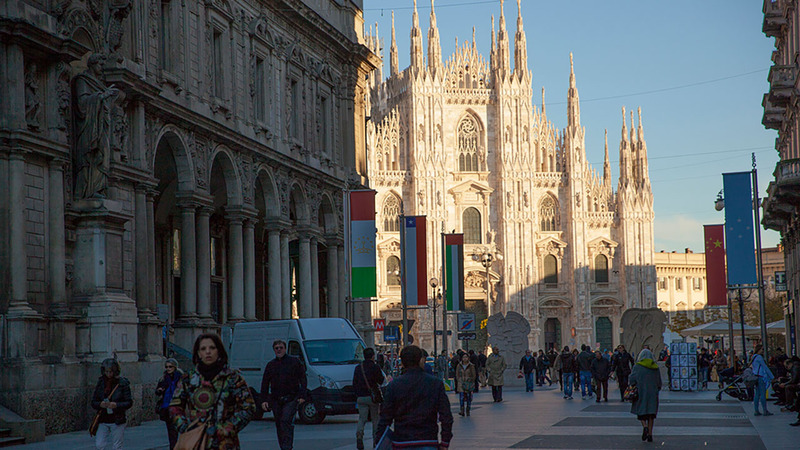 Pre-purchased tickets take the hassle out of your tour; our expert local guides help you to discover the hidden beauties of Milan – and to fully appreciate its incredible art, history and culture. Visiting The Last Supper is a complicated affair. Located on a wall inside a convent, the mural was long neglected, leading to some damage that authorities are now clambering to undo. As a result, limits have been set on visitors. Only 30 people are allowed inside the climate-controlled room at any time and they may only stay for 15 minutes, after waiting in an air-locked room beforehand. This has made securing ‘Last Supper’ tickets a complete nightmare. Then again, once you have your tickets and are inside a silent room with only 29 other people, admiring the huge painting (almost 9 meters long), it more than repays every effort. 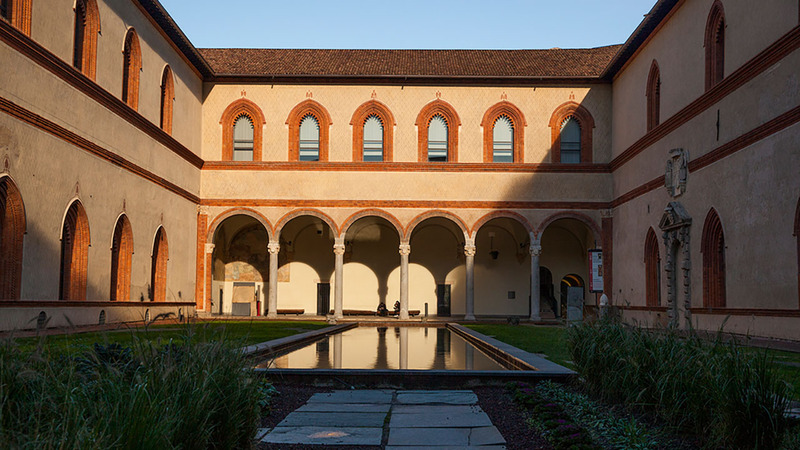 With pre-reserved, skip the line tickets we guarantee that you’ll visit The Last Supper on our Best of Milan tour. And you’ll do so with an expert art historian to help you get the most from this special visit. You’ll get a rundown on the painting before you enter, so you’re prepped to make the most of your time. Then move around the room with your guide and group of 15 people or fewer, admiring its incredible depth and perspective, learning about the characters in the painting and hearing why Leonardo da Vinci is so famous for his work. You’ll probably only see this masterpiece once in your lifetime (particularly since it’s disintegrating at such an alarming rate) so make it count! The last stop of the day is a special one – the Duomo. The largest church in Italy, it took almost six centuries to complete, but it was worth every day. Your guide will teach you about the history of this great structure from the Duomo square; pointing out different architectural features and characters you may not have noticed on your own. You'll go inside the Duomo together to explore more, and even underground to see the basilica's battisterro. Then comes the highlight of your walking tour. 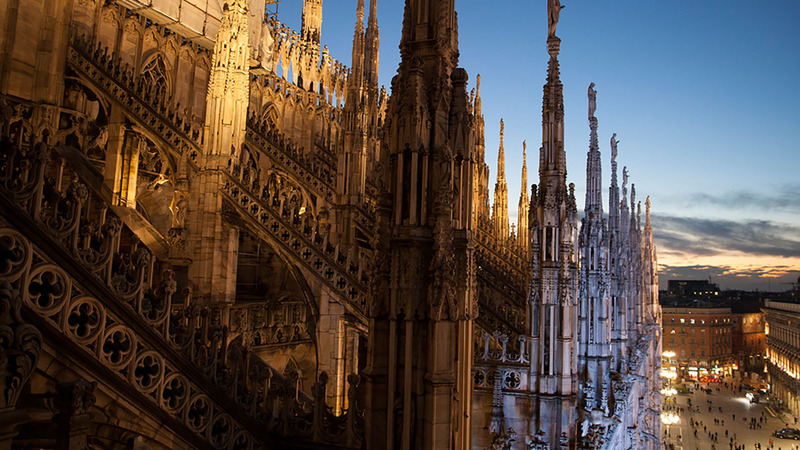 Our Milan tour includes tickets to the Duomo rooftop, where you’ll be able to walk the whole way around the structure on three different levels to admire its arches and sculptures up close and personal. Along with Paris’s Notre Dame, this is easily the most fascinating church roof in the world. Your tickets are flexible so choose to visit directly or take a break and come back later at the best times recommended by your guide. 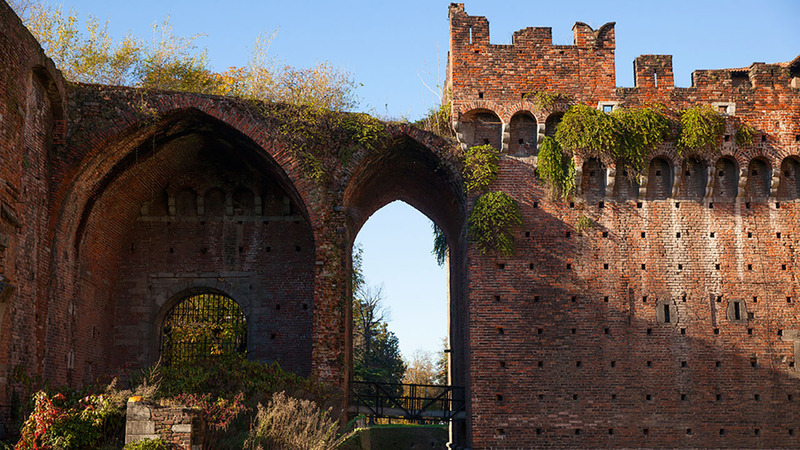 Our Best of Milan tour shines a light on those special places that make Milan a city like no other. With groups of only 15 people or fewer throughout, your experience will be intimate, while your local tour guide will be easy to chat with and question. Great tour, but it would be useful to know how much walking is involved. Some in our party were a little apprehensive when they heard that it was a 45 min-1 hour walk from Santa Maria della Grazie to the Duomo. Our tour guide was great and very pleasant. She was knowledgeable and provided some very interesting tid bits about the city. Lara was smart, thorough, funny, and spoke perfect English. I am so glad she was my tour guide. Please note that ‘The Last Supper’ is held inside a still-active convent and, as such, it is required that all visitors cover their knees and shoulders during their time inside. Although we travel in a group of 15 during our ‘Last Supper’ visit, there will usually be a full 30 people inside the room at the time.